NEW YORK—To the world-weary, Lance Armstrong’s confession to Oprah was just one more in a series. This is familiar turf for Oprah, America’s First Interrogator—often having previously been First Endorser. She once sang the praises of James Frey, who fabricated most of his drug-abuse autobiography, “A Million Little Pieces,” and then had to call him back to the couch to hash out his deception. This is of no consolation to those who feel betrayed or who have been bullied by Armstrong through the years. Of all his sins, Armstrong’s persistent bullying toward any who questioned his drug use—often suing them, successfully—seems to be the most unforgiveable. Finally caught, he had no recourse. Admission is not so noble or virtuous when the facts are unavoidable. There’s nothing left to do but say, yes, I did it. Confession—authentic confession—is something else, involving heartfelt remorse. And so we watch Armstrong in search of that thing we recognize as sincere contrition—and it doesn’t seem to be there. Giving him the benefit of the doubt, perhaps this is all the man has left. We spectators tend through these repetitions to honor a template for public cleansings, whether for grief or guilt. In the latter case, everyone must touch the stations of the cross on their road to redemption: Invoke one’s faith, shed a tear, bite the lower lip, enter rehab and so on. Armstrong, though he accepted Oprah’s invitation, declined our kind invitation to fall to his knees. Nor did he ask for pity—or offer excuses or names. He refused to play snitch and, apparently, has no well-crafted strategy for redemption. He’s simply saying he did it. 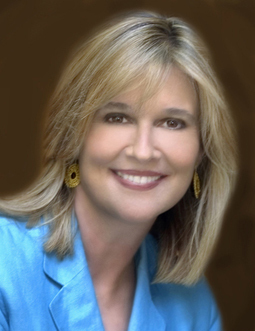 Kathleen Parker's email address is kathleenparker@washpost.com. (c) 2013, Washington Post Writers Group.